live experience. 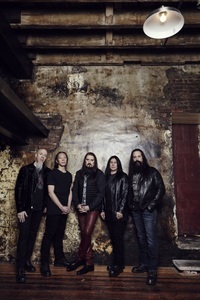 Dream Theater is performing at the Selena Auditorium on November 10 at 8 p.m.
standard 2-CD set, 4-LP vinyl box set and a limited edition deluxe box set, all of which are currently available via Dream Theater’s web store. defined by the endless drone of noise machines and the illusion of safety in bland musical conformity. New Orleans. SMG also offers food and beverage operations through its concessions and catering company SAVOR, currently serving more than 130 accounts worldwide. facebook.com/AmericanBankCenter, twitter.com/AmericanBankCtr, on Instagram @americanbankcenter, Tumblr @AmericanBankCenter, Periscope @Americanbankcenter, and Snapchat @americanbnkctr.